A good few two-year-old races today so I will try to pinpoint the best opportunities without rambling on. 2:00 Carlisle - Bryan Smart has been quiet this season but Alicante Dawn could put a smile on his face. This chestnut son of Equiano is owned and trained by Smart and great yearling purchase at 5,000G. Alicante Dawn ran well on debut in a Plus 10 race and this is a drop in grade by race type and opposition. Not the biggest price but should be a tough nut to crack. Very strong place claims and the type to stick in an each-way bet if you have a fancy or two. Little Miss Lola didn't achieve a great deal but may have fair each-way claims if you are looking for one to go well at a price. 2:30 Carlisle - Burrishoole Abbey is a relatively cheap breeze-up purchase for Mrs. Gittans at £30,000. This son of Acclamation was fancied to go well on debut at Haydock. 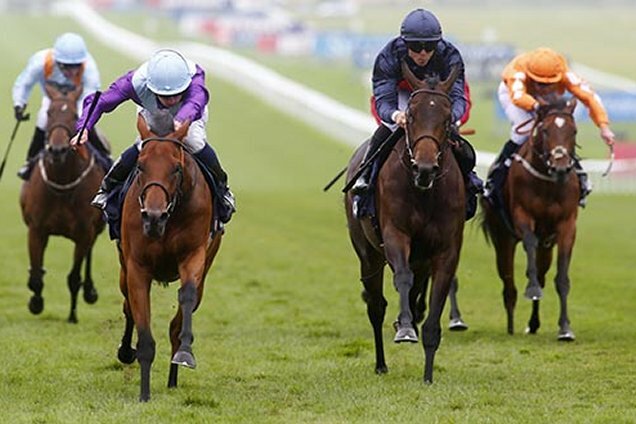 He missed the break and was hurried to be competitive but weakened in disappointing fashion in the closing two furlongs. Karl Burke knows his two-year-olds and if this colt is priced 13/2 & less SP today I would expect a bold show. If weak in the betting I would take a watching brief. 7:40 Bath - Quite a competitive heat for Bath and this Plus 10 has attracted a few talents. Seed Corn ran in a hot race at Great Yarmouth on debut to subsequent Royal Ascot winner, Ardad. To be fair Gosden's winner wasn't hard pressed but neither was Haggas' two-year-old beaten one length in second. It is worth noting she holds an entry to run at Listed class on Saturday at Newmarket and connections clearly feel this is an easier option. Not much of a price but from a prime draw this daughter of Exceed And Excel looks hard to beat. Interesting to see Denis Coakley has Keeper's Choice going here. It would seem a big ask to beat the favourite but it's not beyond the realms this daughter of Intikhab may get placed at huge odds [33-1]. Turanga Leela is another with each-way claims. 8:20 Kempton - Prerogative ran well last time at Leicester and if available at each-way prices for three places should be thereabouts with a couple carrying penalties. Best to bet late just in case there is a non-runner and only two places for an each-way backer, which isn't ideal in this heat.